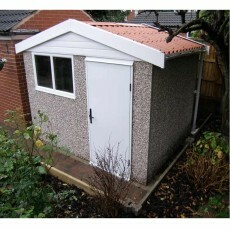 A pent roof shed with a single sloping roof and attractive natural multispa finish. 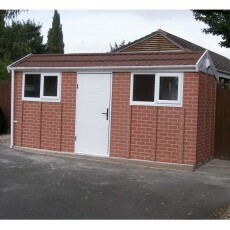 Available in many sizes & layouts. 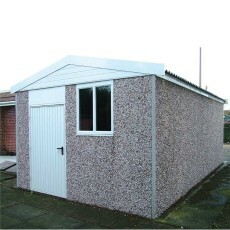 A traditional shaped concrete shed with an apex roof and 12.5 degree roof pitch. 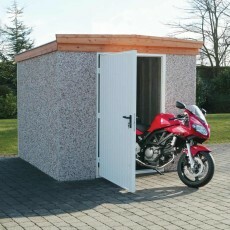 Strong and secure for a wide range of uses available in many sizes. 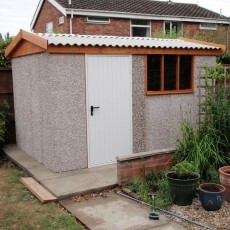 The Apex 15 concrete shed has a steeper 15 degree roof pitch and bold roll tile effect terracotta roof, adding a unique look to a secure building. 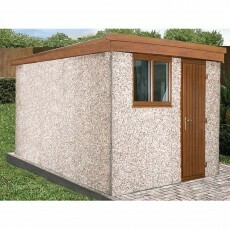 An apex roof shed with a 12.5 degree roof pitch and attractive natural multispa finish. 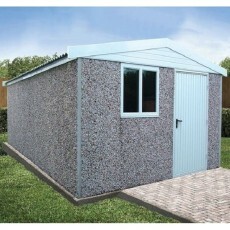 Available in many sizes & layouts. 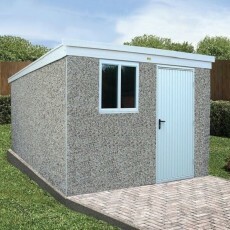 A pent roofed concrete shed sold as a package with many maintenance free options/upgrades as standard to get the best value shed possible. 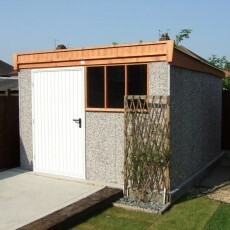 A strong concrete shed with the addition of a Metrotile granular steel pantile roof to the front for added appearance and internal height. 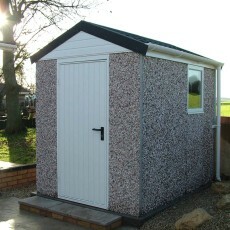 A secure concrete shed available as an apex or a pent with wood effect Upvc fascias, door & window as supposed to the standard white.